Mariah Carey has just announced her Caution Tour of Europe and the United Kingdom! Mariah will launch her tour on 22 May in Dublin, Ireland then perform a three nights at London's Royal Albert Hall. The Caution Tour will travel across Europe, making stops in France, Germany, Denmark, Spain and Holland. Enjoy an unforgettable evening with Mariah as she performs her latest songs from Caution, plus selections from her timeless music catalog of hits! Tickets go on sale to the public on Friday, 8 February @ 10 a.m. local time, but you can get early access to preferred tickets by registering for the Honey B. Fly Live Pass. 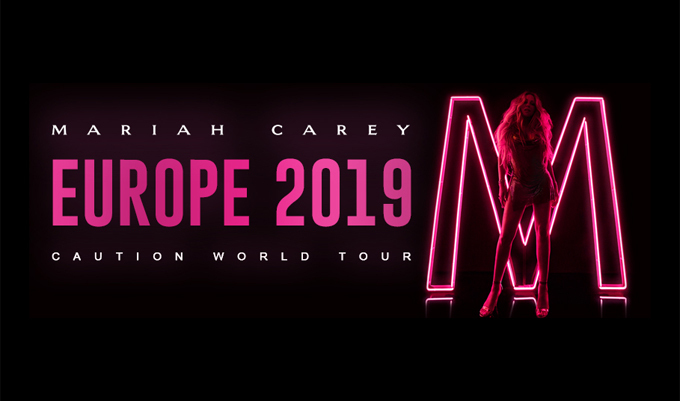 Our exclusive ticket presales for Mariah's Caution European Tour begin Tuesday, 8 February at 10 a.m. local time. Legacy members receive early access @ 10 a.m. (code prefix HBML9), then Junior (new) member access begins @ 11 a.m. (code prefix HBMJ9). How do I know if I'm a Legacy or Junior Member? Login and visit the USER PROFILE page. Your Member Status will indicate if you are a Legacy Member or Gold (New/Junior) Member. 10 JUNE - PEDRALBES, SPAIN: A ticket presale is not available for this concert date. Fans may purchase tickets beginning on 8 February at 10 a.m. CET. Tickets are non-transferable. Tickets offered through Honey B. Fly presales are intended for the benefit of our members. You may not transfer or resell your tickets to another person. After you purchase your HBF Live Pass, go to the TOUR page where you will find the special presale code displayed at the top of the page. If you do not see your code displayed, please log out, then log in to refresh your session. If you have any questions about your member account, please use our HELP form.